My daughter Alli has had a long hard struggle with school her whole life. We have had a rather tough year and it has taken more tears and heartache to get to the end of this year… But this made it all worth it. When I took this from her timid hand and saw her nervous smile, I knew whatever she held was precious. 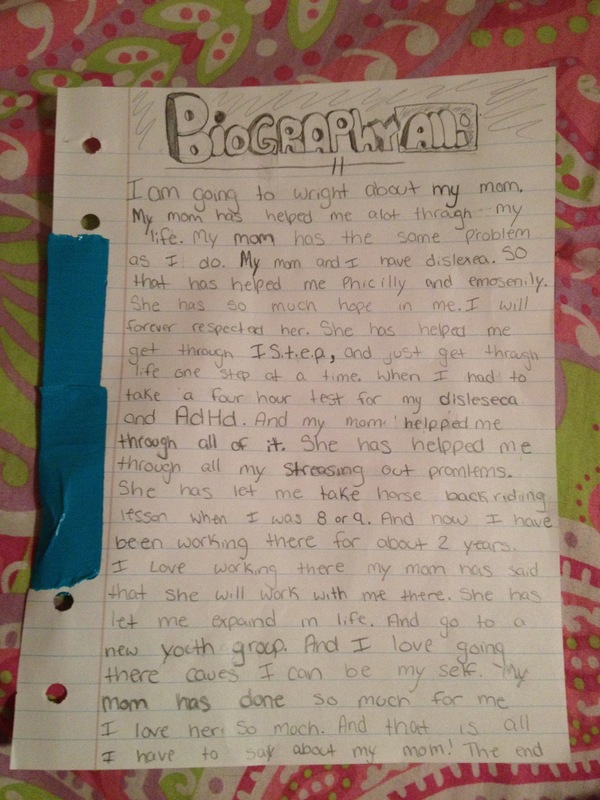 Writing is hard for Alli, but I understood every word. We will make it to the end of this journey together, Alli girl. I will be there every step you take! As promised!